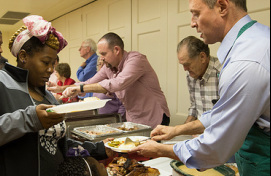 This parish group prepares dinner for the women of N Street Village twice a month. 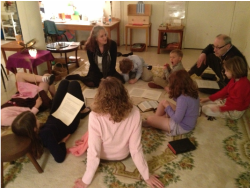 This group, devoted to the religions formation of children, uses the Montessori method known as the Catechesis of the Good Shepherd. Children aged three through twelve learn by doing in a specially prepared classroom known as the Atrium. This group assists the parish administrator with regular and large-print Sunday bulletins, assembly of parish mailings, creation of stewardship materials, preparation weekly deposits, and similar tasks. Some tasks are infrequent; other are weekly; but all are rewarding. For more information contact the parish administrator Michael Vreeland at 202.734.8161.